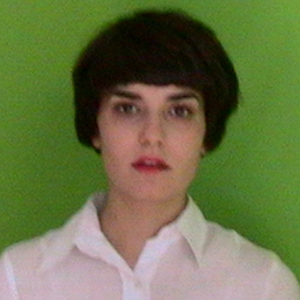 Federica Matelli (Italy), researcher, professor and cultural agent. She holds a Ph.d in Theory and History of Contemporary Art, University of Barcelona. Her research focuses on the study of the concept of “the everyday” in relation to contemporary society and art, with particular attention to the period from 1980 to 2014. Her doctoral thesis, titled “New perspectives for the everyday in contemporary art. From the textual framework to the speculative framework. (1980-2014)”, provides the description and analysis of a theoretical turn produced since the first decade of 2000 and that marks the passage from the textual framework to the speculative framework. From an interdisciplinary approach, her research proposes the study of artistic practice linked to the everyday in connection with other disciplines such as philosophy, sociology or cultural studies. Previously, she obtained a “laurea” in Philosophy – Aesthetic and Theory of Contemporary Art, University of Pisa – with a work on the philosophy of the body of the French philosopher Jean Luc Nancy and his relations with Body art, Performance, and with the aesthetics of “techno-logical” art. In Barcelona she has also studied a Master in Curatorship and Cultural Practices in Art and New Media, ESDI and the Ramón Llull University, organized by MECAD, Media Center of Art and Design. Matelli has given seminars and conferences in different institutions and universities, realized researches for public and private organizations dedicated to art and published essays, scientific and critical articles or art and contemporary culture reviews in different magazines, catalogs and online platforms. She has collaborated with prestigious international institutions, among which it is due to mention the collaboration with the ZKM | Center for Media Art and Technology (Karlsruhe, Germany. MECAD Grant, 2006). There she contributed in the department of communication and publication of the Medien Museum to the exhibition Spazio Deformato organized by the center in the context of the Festival Arte Scienza in Rome and realized a video interview project with Jean Luc Nancy, about subjects related to his philosophy, interactive art and contemporary society. She also took part along with seven other artists / collectives of artists from around the world, of the winning selection of the international competition Disonancias 2006. Fiva I, II y IV. Biblioteca Nacional de Buenos Aires, Sala Jorge Luis Borges (2011, 2012 y 2014); Fluid New Media Laboratory V2. Queens Museum, Museo del Barrio and 3rd Ward-Moviehouse, (New York, USA, 2011); Videoakt Biennial (Berlin/Barcelona, ​​Germany/Spain, 2011), International Streaming Festival The Hauge (The Hauge, Holland, 2011), Home Sweet Home Festival. Werkstatt der Kulturen (Berlin, Germany, 2010), DIVA08. Video and Digital Art Fair (Paris, France,2007), BAC! 10. CCCB (Barcelona, ​​Spain), Loop09 – 08 – 07 (Barcelona, ​​Spain), Enter Space. TEA, Tenerife Space for Art, (Tenerife / Canary Islands, Spain, 2009), 10 years of Mecad (Sabadell, Spain, 2008), Electrofringe. Experimental Electronic Arts and Culture (NewCastle, Australia, 2010), II Video Art Festival of Camagüey (Camagüey, Cuba, 2009).